KIEV, Ukraine -- The Ukrainian government is negotiating the issue of ruble-denominated government bonds, making the country no longer reliant on IMF assistance. Ukraine’s 2010 IMF assistance package of $15.6 billion was suspended in March 2011 because of Ukraine’s refusal to continue with IMF reforms, in particular raising household utility prices to reduce subsidies to the state gas company Naftohaz Ukrainy. This confirms what the Nikolai Azarov government has been discussing since summer 2011. Three November 2011 auctions for three and five-year government bonds with 8.22 and 8.75 percent returns, respectively, failed to attract buyers, and a March issue of a $1.5 billion Eurobond was postponed. The Ukrainian Finance Ministry had until then regularly sold government bonds denominated in US dollars and Euros. This is a reflection of an overall Western disinterest in investing in Ukraine, as seen by the lack of Western interest in recent privatizations, and the bidding conditions for the sale of the stakes in Ukraine’s energy sector have been specially formulated in order to suit oligarchs. The main “foreign” investments in the last two years have been Ukrainian and Russian capital returning from offshore tax havens such as Cyprus, which accounts for a third of FDI into Ukraine. Negotiations for Ukraine to issue ruble-denominated government bonds are underway between Ukraine and Russia’s central banks, Gazprom and the two countries’ finance ministries. The bonds would be purchased by Russian banks active in the Ukrainian market – VTB (President Vladimir Putin is Chairman of its Supervisory Board), Russia’s Sverbank, Alfa-Bank and Vnesheconombank (VEB) – and Kiev hopes to raise $500 million. Sverbank Board Chairman German Gref, a former economic adviser to President Putin, has stated his readiness to assist Ukraine in issuing ruble-denominated government bonds. Until now Ukraine has paid Russia for gas in US dollars and has been negotiating since last year to reduce the price by a third, or $250 per 1,000 cubic meter, compared to $416 last quarter. Ukraine has already borrowed $2 billion to pay for Russian gas from VTB Group – a loan that matures in June. Last month, Ukraine negotiated a second credit line of $2 billion from Gazprombank to pay for imported gas. In 2011, Ukraine spent $1 billion in foreign currency each month to pay for of imported gas set in the January 2009 Ukrainian-Russian gas contract negotiated by Prime Ministers Yulia Tymoshenko and Putin. The move toward ruble-bonds comes at the same time as the Yanukovych administration is preparing the ground after the October elections for a gas consortium in return for a Russian “discount” on the gas price. On November 8, 2011, the government sponsored law no. 9429, which permitted the reorganization of Naftohaz Ukrainy (an opposition alternative was proposed two weeks later). Adopted amendments to the February 2007 law, initiated by Tymoshenko, will lead to Naftohaz Ukrainy’s reorganization by the government that will bypass parliament. This opens up the possibility of privatization of Ukraine’s gas pipelines, opposition deputy Serhiy Sobolev said, because the amendments no longer contain provisions banning privatization, lease or rent of the pipelines. There are three strategic disadvantages to Ukraine for issuing ruble-denominated government bonds. Firstly, loans in rubles will be 2-4 percent more expensive than bonds in US dollars or Euros. The ruble’s exchange rate is highly dependent on the price of oil and gas. The cost of imported gas would be dependent on the Russian currency which, if it devalues against the US dollar, would reduce the price, and if it strengthened the price would rise. In contrast to Russia, which has a floating exchange rate, Ukraine’s exchange rate is fixed against the US dollar. Secondly, President Putin has elaborated Russia’s strategic goal of restoring the economic space of the former USSR (minus the three Baltic states that are EU members). President Putin reportedly controls a “war chest” of $20 billion to purchase strategic economic and energy sectors in the CIS. 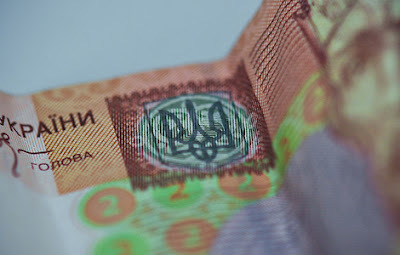 Ukraine withdrew from the ruble zone in June 1992 and began issuing a temporary currency, the karbovanets kupon, which remained in place until 1996 when Ukraine launched a new currency, the hryvnya. Thirdly, Ukraine’s dependence on Russia will inevitably grow and reduce Kiev’s leverage in negotiations with Moscow. Russia has long sought to control Ukraine’s gas pipelines, which transport two thirds of Russian gas, and is pressuring Ukraine to join the CIS Customs Union. These two goals will become more achievable if Ukraine issues ruble-denominated government bonds as Ukraine would be heavily dependent on Russian banks crediting the Ukrainian economy. Kiev has warned Brussels that the EU should focus on Ukraine’s geopolitical and strategic importance and ignore democratic regression by threatening that Ukraine could drop its European integration efforts in favor of integration with Russia and the CIS. Kiev’s threats should be understood as real but are likely to be ignored by both the US and EU, and therefore by the IMF. Ukraine is a very low priority for both the Barack Obama administration, which is in the middle of a re-election campaign, and the EU, which is faced with numerous domestic crises. Ukraine is over-playing its geopolitical importance and dialogue between the US-EU, which is all but frozen. The IMF assistance package is unlikely to be revived because of US and EU pressure to punish Ukraine for its democratic backsliding. The Ukraine-EU Association Agreement was initialed on March 30, but its signing by the European Council and ratification by parliaments is frozen until political prisoners are released and permitted to participate in elections.